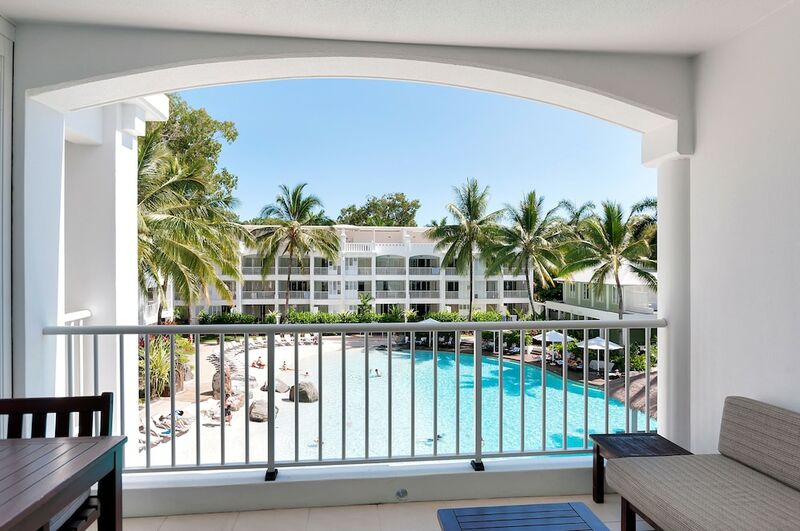 When you stay at Elysium The Beach Club in Palm Cove, you'll be by the ocean, a 1-minute drive from Palm Cove Beach and 8 minutes from Clifton Beach. This resort is 8.4 mi (13.6 km) from Great Barrier Reef and 2.4 mi (3.9 km) from Clifton Village Shopping Centre. Make yourself at home in one of the air-conditioned rooms featuring private spa tubs and flat-screen televisions. Rooms have private balconies or patios. Complimentary wireless Internet access keeps you connected, and cable programming is available for your entertainment. Conveniences include safes and coffee/tea makers, and housekeeping is provided weekly. Pamper yourself with onsite massages, body treatments, and facials. You're sure to appreciate the recreational amenities, which include 3 outdoor swimming pools, an outdoor tennis court, and a 24-hour fitness center. Enjoy a meal at the restaurant or snacks in the resort's coffee shop/café. Quench your thirst with your favorite drink at the poolside bar. Cooked-to-order breakfasts are available daily for a fee.